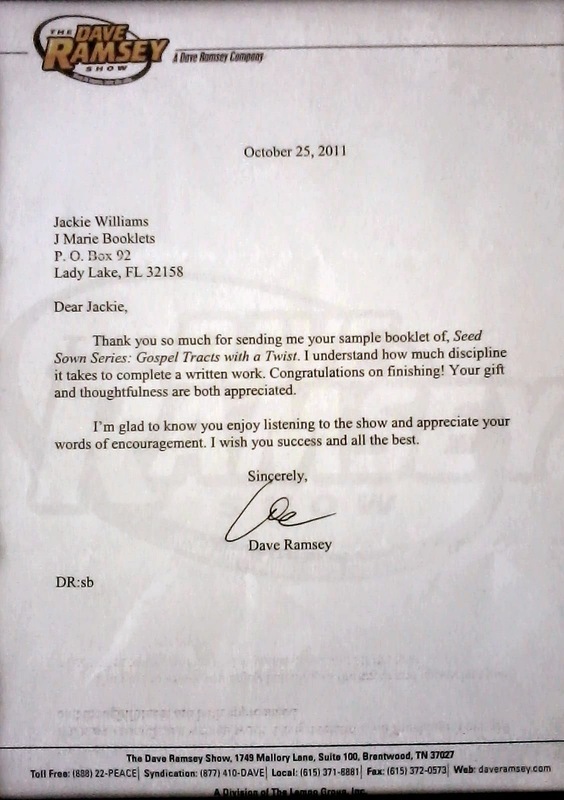 This is a letter that I received from Dave Ramsey when I sent him a copy of The Seeds Sown Series: Gospel Tracts with a Twist. I was so excited when I received a letter back from him. It made my day!